It saddens me to announce the untimely death of our beloved Rabbi, wife and mother: Judith Zabarenko Abrams. Judith died in Houston, Texas on Wednesday, October 22, 2014 at 56 years of age. She was born in Pittsburgh, Pennyslvania, attended college at Oberlin University, and obtained Rabbinic Ordination at HUC-JIR in Cincinnati. She then obtained a Ph.D. in Jewish studies at Baltimore Hebrew University. 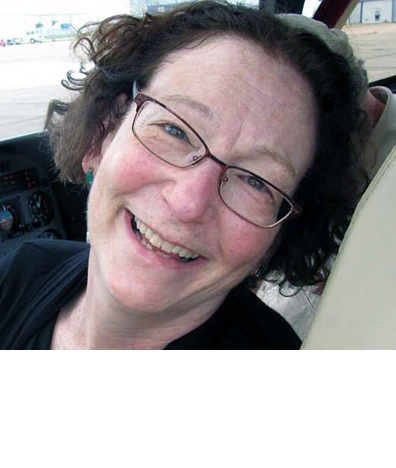 She was a devoted scholar and teacher, authoring over 20 books and leading the nonprofit effort of this website, Maqom, dedicated to teaching Talmud to students of all ages and levels. She was a passionate and charismatic teacher, she had the ability to say things in a down-to-earth manner while being articulate and knowledgeable, which is a very powerful combination. She really connected to all her students, who knew better than to be late to one of her classes. She was also a true believer in education, both religious and secular. She instilled these beliefs into her three children, who always strived for the best on all education levels. She was an active participant in her civic duties and voted in every election while encouraging young people to register and vote. She loved her family, Judaism and especially the Talmud Yerushalmi. Rabbi Abrams was so much more than a brilliant scholar, so much more than an engaging teacher, so much more than a witty intellect, so much more than a passionate Jew, so much more than a loving wife and mother, so much more than a caring friend. She accomplished what many of us desperately attempt ... living by her values, and greeting every moment with intention. She was preceded in death by her father, Dr. Ralph Zabarenko. She is survived by her husband of 27 years, Steven Abrams, and by her three beloved children, Michael, Ruth, and Hannah. Deepest condolences are extended to Dr. Abrams and the children. In lieu of flowers, please send a donation to the charity of your choosing or to the family's recommendation: Camp Kesem Rice. In addition, donations to Maqom are still being accepted. Maqom is in the process of being converted into a non-profit foundation to support Talmud study. Additional information concerning Rabbi Abrams' life can be found here. Finally, the family is memorializing Rabbi Abrams 'life through the Maqom Facebook page. The eulogies begin at approximately 11:30 into the recording. If you would like to post your comments, testimonials, thoughts, or memories about Rabbi Abrams, please complete the contact form on the Contact page. "So just then was her light, lenient, liberal, likely turn--just so now we deliberate with delight upon the lenity of her lovely return. Bless Rabbi Judy--a blossom in the bosom of bliss! She came down well. She goes up well." "I just was able to check in to read my MAQOM messages and was shocked to hear this news. I met Rabbi Judy at an Early Bird workshop she taught on mysticism at one of the first URJ Kallahs I attended. I have been mostly a lurker, but found many of her postings and the discussions that followed inspirational or thought provoking or both. I will greatly miss her and my heart goes out to her family." In June of 2000, Rabbi Judith Abrams circulated an offer to work with individuals who were interested in studying Talmud with an eye toward writing articles. We corresponded and I became her student. It was a life-changing opportunity. Throughout my years as a rabbi I had wandered from text to text, pursuing the insights of each volume until I hit a stumbling block. I had never found a teacher who could help me climb over the obstacles to gain my independence. Rabbi Abrams is that teacher for me. Pirke Avot 1:6 advises one to get a teacher and to acquire a friend. In Rabbi Abrams I have found both. I have been a lurker, not a regular respondent, to her emailed teachings. I was always curious to see how she would link our ancient texts and our contemporary dilemmas. I will miss her insight and humor. My condolences to her family, friends, and students." First of all, I hope that her website of archived writings will be maintained online as an invaluable resource for thought and study. In addition, I was one of those blessed with speaking with Rabbi Judith Abrams zt"l over the years. We considered new insights of Talmud and Bible studies, languages, perspectives, philology and the incredible range of Rabbinic thought across the millennia. We even reminisced about our respective teachers, their charm, foibles and gifts to the Jewish tradition. I always felt that she should be included in those greats. She knew how to transmit text from "then" and make it "now." To her family, her friends and to all of us her students, may our memories shared with her on occasions of learning and simcha in good health bring us all a full measure of comfort among the mourners in Jerusalem and the entire household of Israel who share in this loss." "I remember reading a post on an email list from someone named Rabbi Judith Abrams, who had this idea, back in 1995, that she could use this new thing called the World Wide Web to teach Talmud to the world. Cool! I thought, so I offered to help her get set up at shamash and, years later, spoke with her about podcasts, when she thought that daily doses of Talmud for people to listen to would be worthwhile. She had sense of the power of online learning and community. Rabbi Abrams lived her life fulfilling her mission of teaching Talmud and making it alive for us, hoping we would do the same. Her posts often related Talmud to medical care, illness, and healing. She so often found ways to apply ancient insights to modern times. She was the world’s Talmud teacher. She encouraged me to write and learn more, and invited me to write a few essays for one of the books she was working on. I was touched and honored. Her comments about our insights were always encouraging and made us want to learn more with her. Zichronah livrachah, May her memory be a blessing." Rabbi Judith Abrams was a teacher par excellence, a passionate learner, a generous soul, and a light in the world. She is already missed, and her memory will be for a blessing. May her loved ones be comforted by the One who comforts." "I’m shocked and saddened to learn of this. She was an inspiring teacher, and I will miss thinking about her questions and comments. My condolences to the family." "She told us once re her tephillin that she wore them on Shabbat because, unlike the men, we women did not have the mitzvah of Brit Milah. Somewhere carefully stored in my cellar I have a printed collection of all her JTN discussion group postings. We also had a discussion at a prebiennial kallah of Tzitzit and why and where you could also put them as reminders. It got quite creative. I am beginning to find little smiles in the sadness as I remember some of Judy's discussions over almost 20 years. Wishing I had been brave enough to do a research project with her, sigh. "I'm still trying to wrap my mind around this. I've been thinking of all of you, my fellow Maqom-travelers, and how much we have learned from her and how much we will miss her. I, too, would like to make some kind of contribution somewhere in her blessed memory." "She will surely be missed I have learned a lot from her and subjects that we studied. May her family and friends be blessed and am so sorry of her passing." "I met Rabbi at a scholar in residence weekend over 15 years ago at a synagogue near Chicago. She put on tefillen that were made of ribbon explaining how these were ok because there was no basis for them to be leather in the Tenach. She said that leather had a biker feel to her and so she crafted these. The Reform congregants were enraged. The irony was not lost on me. I knew I met a true rebbe." "Indeed shocking news. I spoke to her on the phone in 1999 because I was looking for meaning in life. She set me straight. Will miss her greatly." We have lost a great mind of Yiddishkite. But we have gained from her intellect, wisdom and caring." Rabbi Abrams' death is a great loss to all of us who have had contact with her. She was an inspiration, a brilliant teacher and wonderful human being. I can just imagine her in the Heavenly Academy, trading insights and jokes with the rabbis she made come alive for us. I'll miss her wonderful, whole-hearted laugh. May she be remembered as a blessing, and may her soul be bound up with the holy and pure souls who shine in the highest heavens." "Crushing news.... I'm so sorry. She was a light to all of us for so many years...."
"Her memory will surely be a blessing; such a loss; I’m as surprised and bereft as if the lovely giant redwood tree in my garden suddenly was felled; the loss of so much, strength, faithfulness and beauty stuns." "I just learned Rabbi Abrams died of a sudden illness on October 22. I got a lot of spiritual sustenance over the years from her MAQOM program and she also took time when I needed [her] to minister to me individually. I am sure we will all miss her."